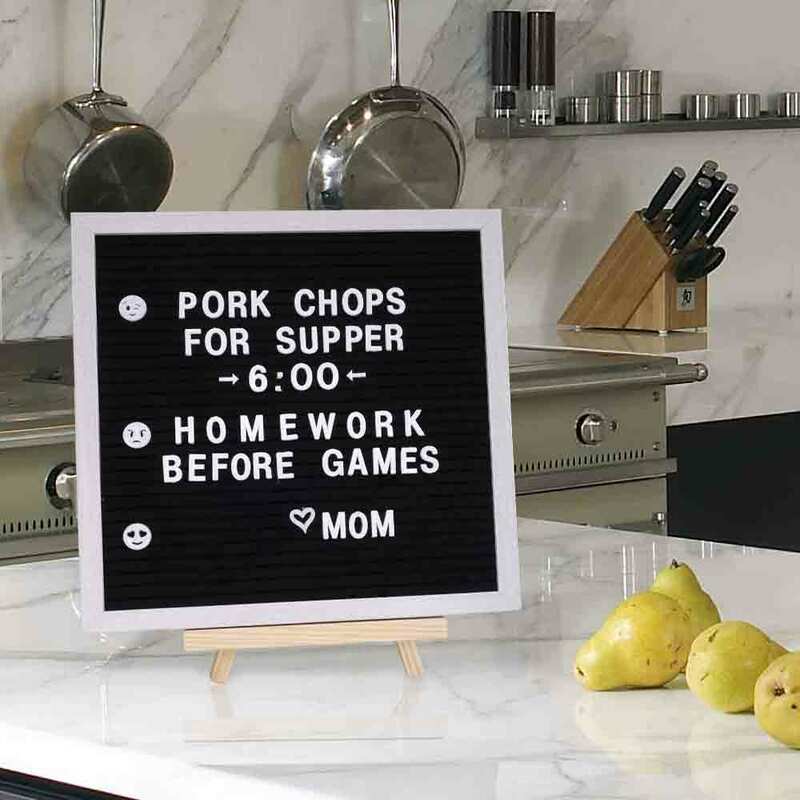 At one time, people only used letter boards in their businesses. Then, they went out of style for a brief time as businesses used printed signs where they might have used a directory. A lot has changed. Now, letter boards are not only in style … people are using them in their homes for a variety of purposes. Here are three uses for felt letter boards. 1. Kids seem to love letter boards. It lets children practice their spelling. My grand daughter just loved playing with this oak letter board. Older kids could use it creatively as a place to display poetry for a snap-chat pic. 2. It can be used for uplifting messages that you really need to see on a daily basis. Many self help books suggest making a vision board and posting messages that affirm your goals or state something you want to strengthen your belief in. 3. They can still be used for businesses. Say hello to your customers in a timely way. Make a statement for the season or let them know about a special you’re running. It seems weird leaving this list at only three uses. This barely scratches the surface, but should give you some understanding about how broad letter boards use has become …after all, they were once mostly just used in to corporate lobbies and were never used for fun or for education or as an interior decor item in homes.